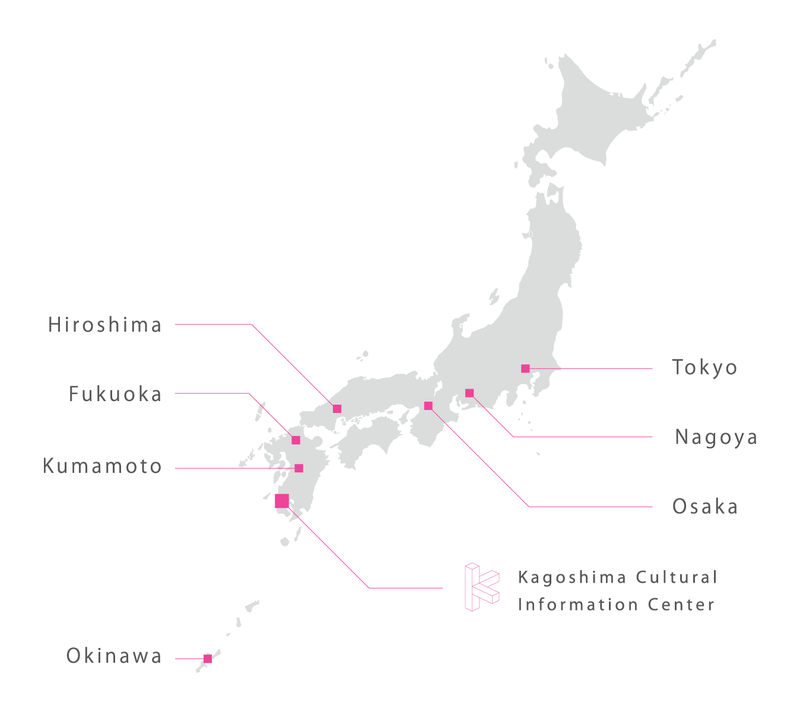 Kagoshima Cultural Information Center (KCIC) was established in 2013 as part of a five-year project initiated by Kagoshima City and designed by artists, scholars and other members of Kagoshima’s cultural community. The Center’s activities focus on art, music, and traditional folk performing arts with the goal of facilitating access to high-quality art work, securing opportunities for music-related activities, and promoting authentic folk performing arts. As its name implies, KCIC is a center for cultural information gathered from diverse sources at home and abroad. 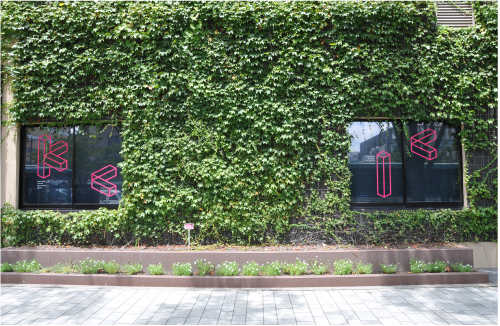 KCIC will also actively organize unconventional cultural activities and function as an arena where local residents, non-profit organizations, volunteers, artists, and the like can share in creative processes that will shape Kagoshima’s cultural future. from Tokyo by air, Haneda Airport to Kagoshima Airport 1 hr. 40 min. from Nagoya by air, Chubu International Airport to Kagoshima Airport 1 hr. 20 min. from Osaka by air, Itami Airport to Kagoshima Airport 1 hr. 10 min. from Osaka by Shinkansen, Shin-Osaka Station to Kagoshima Chuo Station 3 hrs. 42 min. from Hiroshima by Shinkansen, Hiroshima Station to Kagoshima Chuo Station 2 hrs. 23 min. from Fukuoka by air, Fukuoka Airport to Kagoshima Airport 45 min. from Fukuoka by Shinkansen, Hakata Station to Kagoshima Chuo Station 1 hr. 17 min. from Kumamoto by Shinkansen, Kumamoto Station to Kagoshima Chuo Station 44 min. from Okinawa by air, Okinawa to Kagoshima Airport 1 hr. 20 min. ※The above are approximate travel times. Shuttle buses are available from Kagoshima Airport to Kagoshima City (Kagoshima Chuo Station, Tenmonkan, etc.). It usually takes 40 to 60 minutes. The above are the shortest travel times and are subject to change depending on traffic conditions. Local Bus (operated by Kagoshima City Bus, Nangoku Kotsu, and Kagoshima Kotsu): Get off at Shiyakusho-Mae bus stop. KCIC is 3-minute walk from the bus stop. Private cars can be parked at Minato-Odori Bekkan Parking. With a population of some 600,000, Kagoshima City is the largest city in Kagoshima Prefecture and in southern Kyushu. The final destination of the Kyushu Shinkansen (bullet train), Kagoshima is a vibrant city that has been enjoying steady growth as well as close ties with neighboring Asian countries because of its proximity to mainland Asia. Historically, the city produced many of the leaders of the Meiji Restoration that brought about the birth of modern Japan. The presence of a large number of related historic sites, of a highly active volcano – Mt. 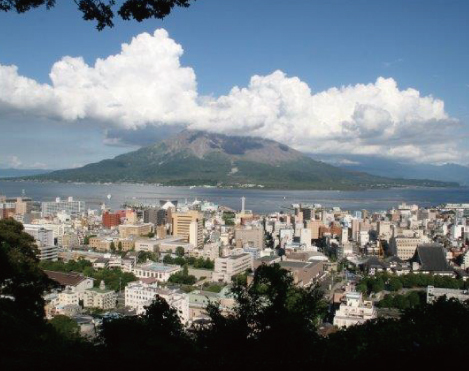 Sakurajima – that looms over the city, and of an abundance of hot springs makes Kagoshima a popular tourist destination. And tourists are rarely disappointed given this area’s warm hospitality and unique food culture, for Kagoshima is home to a popular shochu (a sweet potato spirit) and a rich variety of marine and agricultural products that include high quality beef, pork and chicken. Recently, with Mt. Sakurajima erupting several hundred times a year, Kagoshima City has drawn attention as a fine example of the harmonious coexistence of humans with nature.